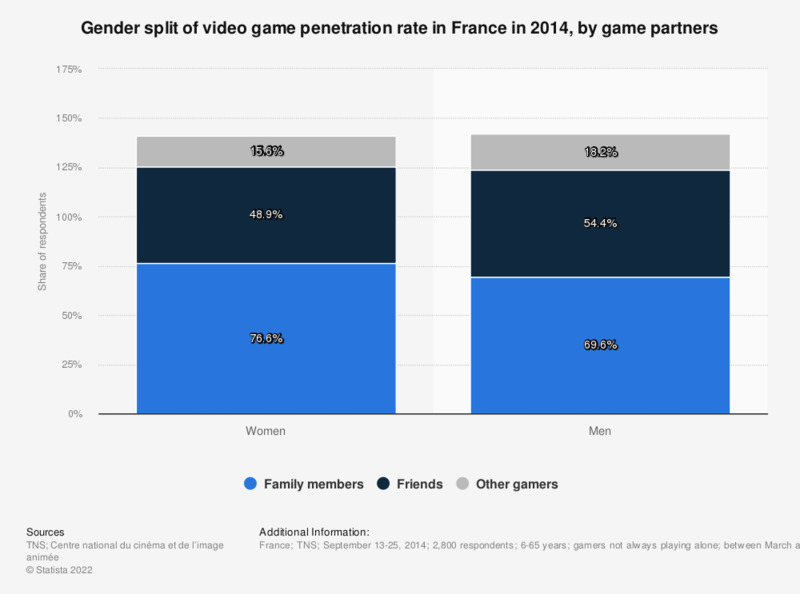 This statistic shows the gender split of video game penetration rate in France in 2014, by game partners. In France, 76.6 percent of female players stated that they had played with family members between March and August 2014. * Total sample does not match the number of people interviewed for this question.